Pocket WiFi™ 2 is an ingenious little device that connects you wirelessly to the internet. You can connect up to five devices to it such as your laptops, iPad, smartphone or gaming console and achieve very fast internet speeds. It creates the perfect way to securely browse the internet, e-mail, play games and download music, movies and other content with ease. The pocket WiFi™ 2 is both a portable modem and WiFi router. It is the superb solution for people do not wish to commit to a fixed line broadband contract (particular for those who rent, move homes regularly or do not have a fixed phone line at home) and for those who want to access the internet wherever they are whether it be at home, work, on the bus or on holidays. Because it is portable (fits into your pocket), you can access secure and fast internet on the go and download large amounts. 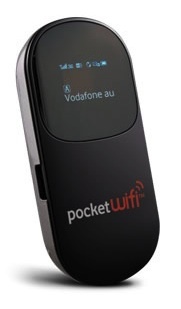 Pocket WiFi™ 2 has been launched by Vodafone and now supports a connection via their new 850mhz network in Sydney, Melbourne, Brisbane, Adelaide, Perth and Canberra. If you live in a metro area, the 850mhz network will provide you with a faster and reliable connection. All Pocket WiFi™ 2 plans are available from Vodafone and come with their wireless broadband guarantee; if you’re not happy with the service, cancel in 30 days and you will pay nothing more, even if you’re in a contract! It’s a good way to test the service out at no risk. Sign up online today and see the great online deals! Previous post: How fast is Vodafone’s new 850mhz portable WiFi network?